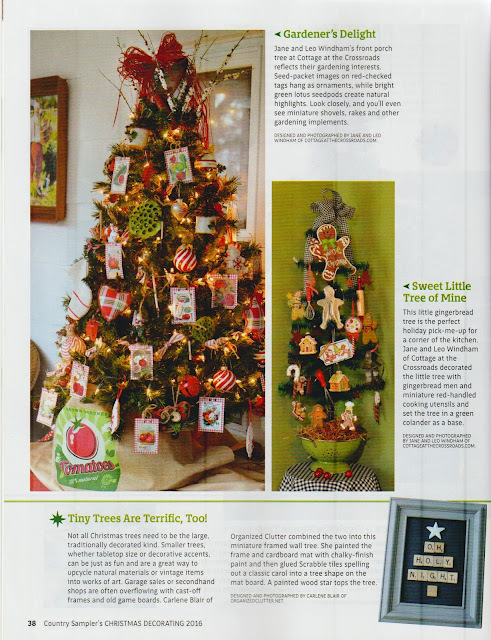 I am so happy to be have two of my blog photos featured in the 2016 issue of Country Sampler's Christmas Decorating Magazine. One of the features was my Scrabble Tile framed Christmas tree. This project was easy and fun and if you would like to make one for yourself the project details are HERE. My other magazine feature was my 2016 outdoor covered patio rustic display. You can visit that post HERE. I encourage you to purchase a copy of the magazine as their are hundreds of great Christmas decorating ideas contained in this issue! My 2015 Christmas patio display link is HERE. My junky rustic outdoor display 2013 link is HERE. Every outdoor display I put together has spruce tip buckets. See how to make one HERE. I hope I have inspired you to decorate for Christmas with JUNK! Congratulations, what an honor and a joy to be featured in a national magazine ! I love your two C'mas pics, I don't blame them for featuring you. Congrats on the recognition! I always enjoy seeing your decorating displays - now a larger audience can enjoy them too! I'm now on the hunt for these magazines. Congratulations, Carlene - I can't wait to pick up and issue and check it out! I just subscribed to the magazine so am hoping that this issue will come soon.I love your creative country displays. 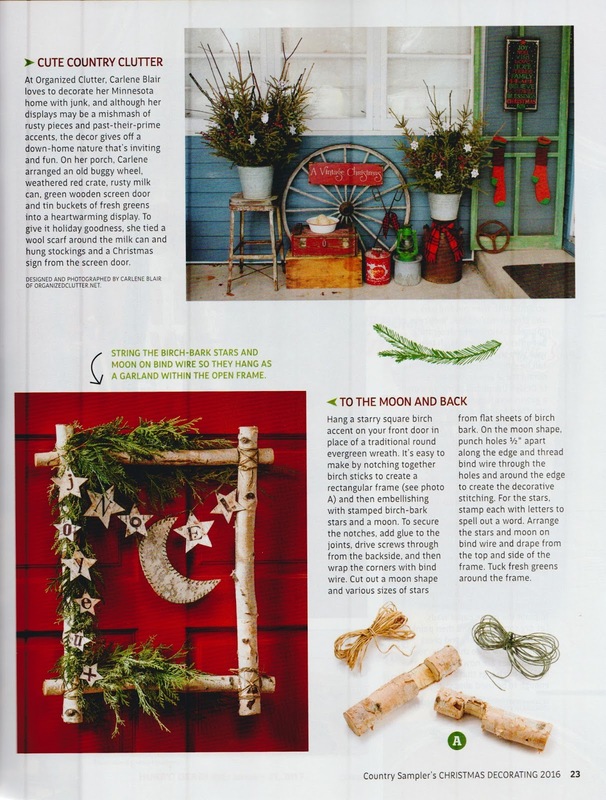 I'm excited to have some photographers scheduled to come take photos of my potting shed at Christmas this year for an article in Country Sampler's 2017 Christmas issue. It'll be a long year waiting to see it published! Wow, I didn't realize they published that far in advance. But I know there is a lot that goes into it. Congrats to you. Can you give any advise on how to go about getting something in their magazine. Who knows, maybe I'll get a spot in 2018!! Your projects are wonderful, Charlene! Looks like a wonderful magazine...congratulations! That is so awesome and Congrat's! I have the first magazine and did see the article. Congratulations on the features, Carlene! That's wonderful! Congratulations Carlene. 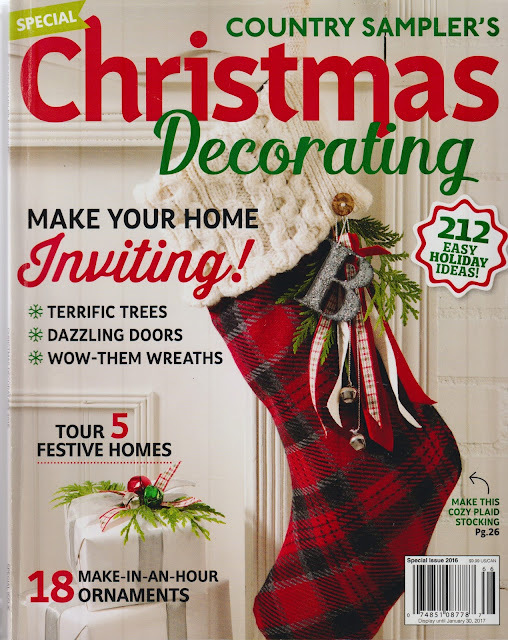 I am always inspired by your fun decorating skills and so happy that this magazine is recognizing them. I too, love decorating with junky, rustic treasures. Way to go girl!! I think your porch/patio deserve a spot in the 2017 issue! Go for it! Any advise how to submit to them something for a issue?